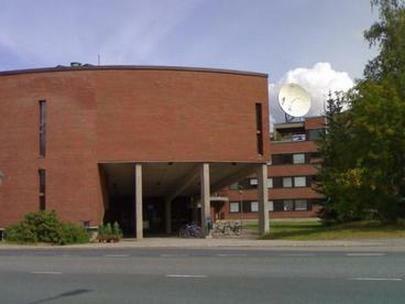 Helsinki University of Technology (TKK) is located in Espoo, about 10 km from Helsinki. 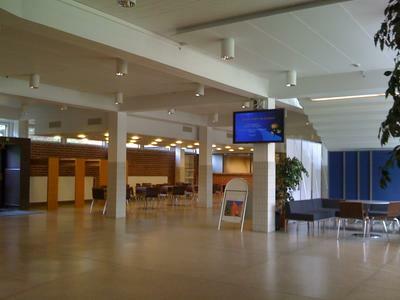 The TKK campus area is called Otaniemi. There are altogether 15 000 under- and postgraduate students studying at TKK, which makes TKK the largest technical university in Finland. In 2008, TKK will celebrate its 100-years long history of university-level education and research in the field of science and technology. The conference will be held in the Faculty of Electronics, Communications, and Automation, in the lecture hall S1. The street address is Otakaari 5 A, Espoo. The main entrance of the Faculty of Electronics, Communications, and Automation. The lecture hall S1 is located in A wing, right next to the main entrance (map). The poster sessions will be organized in the lobby in front of the lecture hall S1. 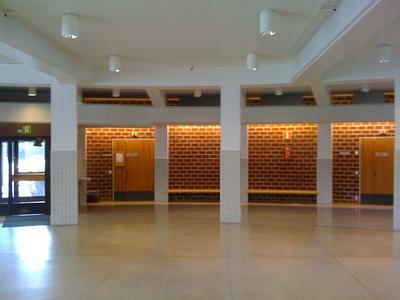 (Left) The view when you enter the ECA building. 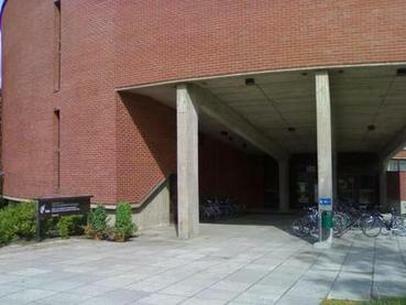 (Right) The lecture hall S1 is right next to the main entrance.